When handling an exception, you can wrap the original exception in a new exception that you throw, by setting the InnerException property of the new exception to reference the original exception. If it makes sense for your application, you can wrap an already-wrapped exception, such that the inner exception itself contains an inner exception. 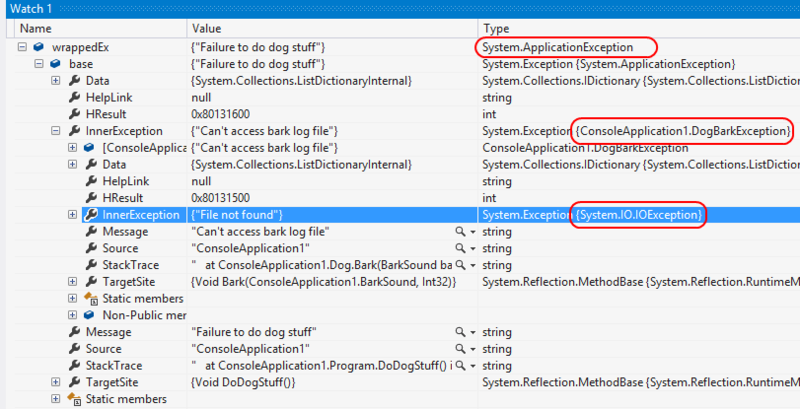 You might also encounter wrapped exceptions that are several levels deep when using the .NET Framework.